Wonderful balmy evening for gathering friends and supporters together with enough to drink and plenty of food to reaffirm our aims of helping young people harness their business ideas into viable businesses. Some of our recent sucessful applicants were able to come. It was good to greet them and intoduce them to some of our longterm grantees. They have a wealth of experience to exchange. Especially 4 year old Roxanne. This year Luke Mugliston spoke movingly of his friendship with Oli and how they might have gone into business together [ideas along the night club range] but with Luke getting married, he became committed to needing a predictable income. Not that that stopped Oli from discussing fresh ideas. Luke recalled how Oli spoke often his mantra – ‘Love all, trust few, always paddle your own canoe’ and ‘not knowing how life will turn out, enjoy the journey along the way’. Luke said how much he misses Oli, as do we all. We had a humorous and very sucessful auction with Ed Stern calling the bids. Donations from a number of thriving businesses who we helped in earlier years. To mention a few, Tristram and Liz from Somerset Wood brought a beautiful wooden pestle and motars. Hetty Rose sent a clutch bag decorated with antique kimono silk panels. Kieron had obtained theatre tickets to several shows, all snapped up rapidly. Roxanne said she was 4 but that wasn’t enough to get her Kieron Connolly’s book on ‘The Dark History of Hollywood’. Champagne went well as did a CD set of Fresh Meat [all 943 minutes] donated by the scriptwriter Jesse Armstrong. 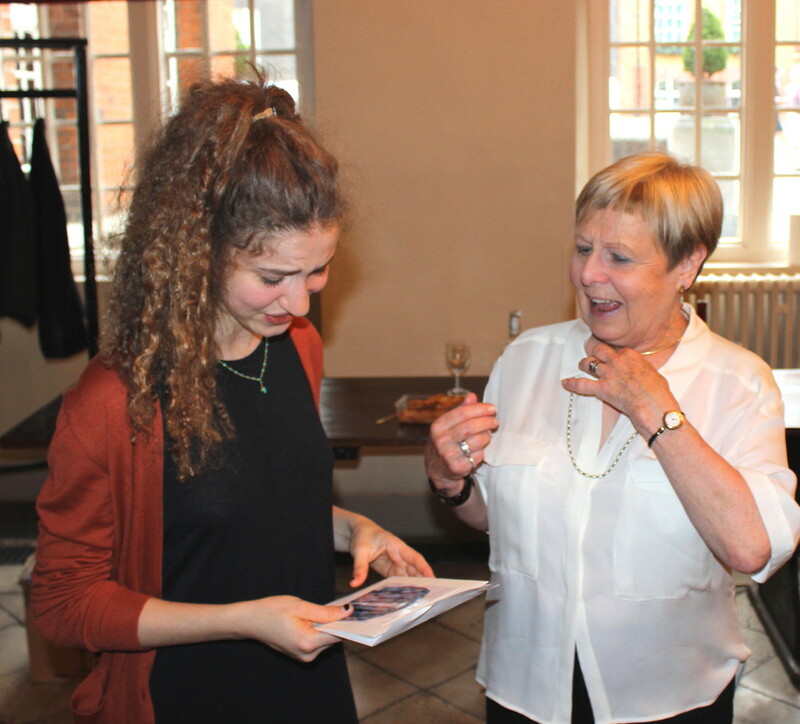 The Oli Bennett Art Prize was won this year by a final year pupil called Maddy who came to the evening for her presentation of a cheque for £100 and a congratulatory speech from Joy. Simon Crow the Westminster School Head of Art, who has been nothing but supportive to us extra to his school responsibilities, was able to come as well. Maddy leaves Westmnister this term going on to study art history in USA. 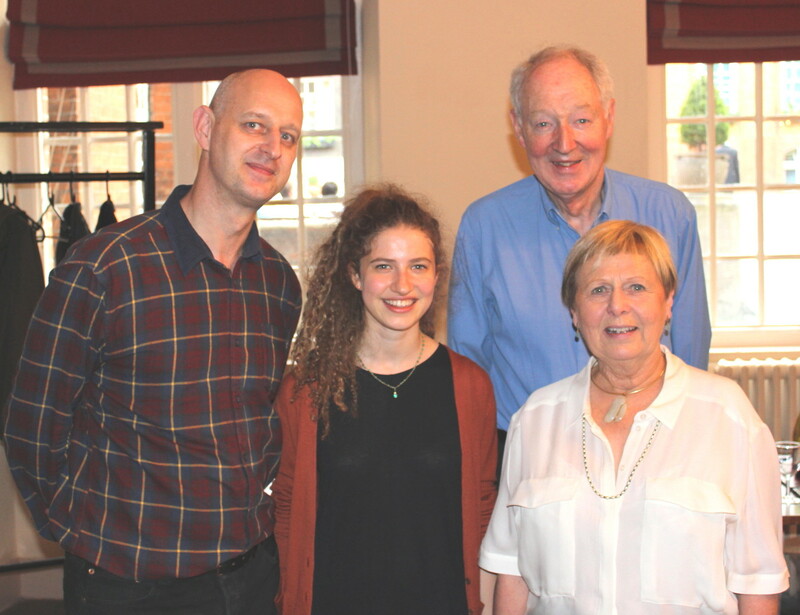 Joy and I could not have carried on for the last 12 years running the Oli Charity without the support of our trustees, contempories both of Oli’s and ours’. Joy the mainspring and I both thank everyone for their help and support. This entry was posted in Events & News on 2014-07-03 by admin.